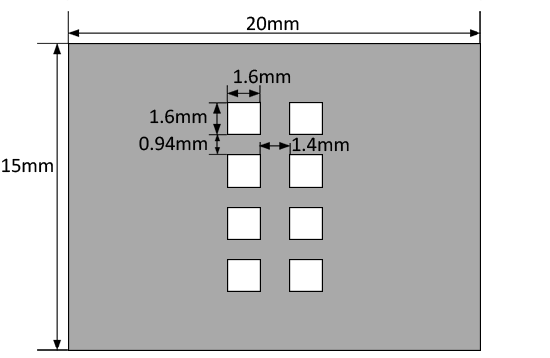 A measurement aperture mask with electrochemically-etched holes to define the active area of a pixel during measurement and to stop indirect/scattered light when using our push-fit connection boards. Useful for OPV measurements under solar simulators or OLEDs with luminance meters. For use with our 8 Pixel OPV/OLED substrates (S211).